People are always going to need legal advisors for one reason or another and this makes the legal field an in-demand industry. In order to be sought after it is important that you have a good mix of skills and the completion of an approved ABA paralegal program behind you. This extended guide will give a good insight on the best paralegal schools in the .U.S. • Specialized paralegal studies through formal education programs. • Some years experience working under the supervision of an attorney. • The performance of substantive non-clerical legal works for an organization. Certificate programs usually run 30-60 semester units and include general education and paralegal coursework. Certificate programs are mainly suited for individuals with associate or baccalaureate degrees already. You can get an associate degree in paralegal studies from community colleges, major universities, and business schools. Students earn the degree after successful completion of sixty to seventy-semester units. The units usually consist of combined paralegal and general studies. Before you choose this program, it is advisable to consider whether you might wish to progress with a four-year program at another college. Make inquiries about the transferability of credits from this course to other ones. Many four-year universities and colleges offer baccalaureate degrees in paralegal studies. Students can major in legal assistant programs or concentrate on related studies. Bachelor’s degree programs usually run for 120-130 semester units, with 30-60 units dedicated to paralegal courses directly. The masters degree program in paralegal studies is fairly new and only available at select institutions of higher learning. Apart from the advanced degree, you may also opt for advanced programs in related fields such as legal administration or legal studies from major colleges or universities. Most paralegal schools offer associate, bachelor’s and master’s degrees. They also offer certificate programs for those with limited time and budgets. Paralegals that specialize in real estate help lawyers with the framing of agreements, closings, and escrows. Paralegals of corporations work within the internal legal departments of a wide range of corporate businesses. 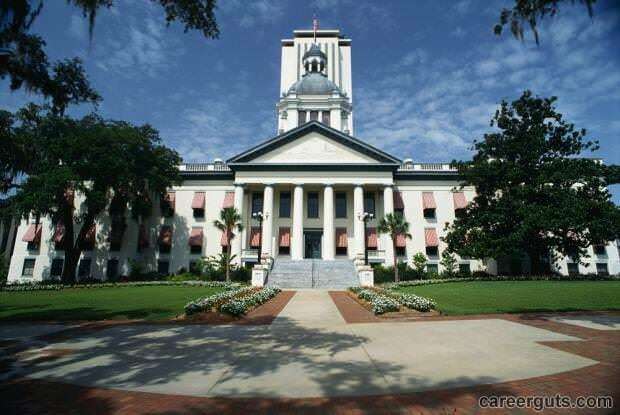 Government paralegals receive employment in the county, local, federal and state departments. It is critical to understand and then choose the area you would be keen to work in. You can choose between paralegal schools that are online as well as those that are on the campus. If you want, you can also do a combination of both of these by taking online and on the campus classes. The online courses have the advantage of the flexibility of time as well as money. The only requirement is access to the computer and an Internet connection. It is important to consider some factors while choosing online paralegal classes. Law firms and corporations are engaging in cost-cutting measures, and the paralegals are replacing the lawyers’ tasks in many areas. It Has resulted in an increased demand for paralegal services. Kaplan University offers four accredited paralegal programs to students, which will equip them with the necessary expertise to succeed in this profession. This is the first program offered by Kaplan University. This course is for students who already have an Associates Degree in paralegal studies and are aspiring to study more. This program combines the career focus of a two-year degree course with the academics of a four-year degree program. Your communication and critical thinking skills will be enhanced. Pursuing this course will result in excellent employment prospects and a handsome income. An Advanced Bachelor’s of Paralegal Studies is suitable for students who are deciding to get employed after finishing or moving on to pursue graduate level studies. Office Management, Personal Injury, and Alternative Dispute Resolution are the three primary areas covered by this program. This is the second type of program offered by Kaplan University. This course opts if you are switching over to a new career or advance your skills as a paralegal. This program covers modules such as communication with peers in the legal department, understanding of relevant legal concepts, doing proper legal research, criminal law, civil litigation, ethics, and decision-making. This is the third type of program suitable for students from the liberal arts stream. Once they graduate this course, students get successfully employed in private law firms or federal agencies. The student’s analytical skills are sharpened in specialized areas of law. This is the fourth type of program that is suitable for students with an Associates or Bachelor’s Degree and looking for entry-level paralegal work. This program clearly outlines the paralegal field and about the legal system in America. Focus is laid on learning to use research in legal arguments. Students are trained to gather facts, manage cases and strategies, litigation, and proper legal research. In short, pursuing an online paralegal program with the Kaplan University gets you on top of others in this niche. The first school that offers the best program is the University of California, Los Angeles. The program is an extension course offered by the school. Their program is 30 credit hours and these hours are broken into modules that are full of related coursework. After successful completion of the modules, a paralegal certificate is then granted. Students receive quality instructors as they are hand-selected by professors at UCLA. The program takes place through the Westwood campus and students can also partake of the social scene that the campus has to offer. 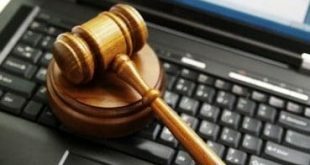 There is also an opportunity to earn a degree online as well as places that put an importance on both practical skills as well as legal technology. Syracuse University gives students the chance to learn the legal study program in the form of either a post-baccalaureate degree or certificate. The practical skills that are taught by the instructors are geared towards practical skills that can be used in either a private or a public sector. In addition, there is also an emphasis on critical thinking as far as ethics in the legal field. The program is not “laid back” but it does have its benefits from the surrounding college town. Because of the college environment and having one of the best programs, it can easily be considered to be one of the favorite ABA approved programs. Due to its location in what can be considered the heart of the largest law center for the nation, Washington D.C., Georgetown also offers a paralegal studies program. The program, much like the other law programs offered by the school, has a stress on in-depth legal analysis. It also covers many different topics and also helps with being prepared for the job and practical skills as well. The school also has ties with many of what can be considered the most powerful law firms in the US. Therefore, it is easy to see why Georgetown produces some of the most employable graduates in the United States. The program at Auburn University is known for the comprehensive education it gives its students. This program is made up of six weekend sessions that are spanned out over six weeks’ time. Because of this, it makes it perfect for those that either have time issues or do not have money and want to either start or continue a legal career. The program covers both research and legal writing and is intended for anyone from a beginner level to an advanced level in the field. Students will be taught to interview witnesses, help with the preparation of court litigation, researching the law and much more. The program is not just lectured, there are also instructions that are hands-on and offer students practice for real life situations. Due to these benefits, it makes the legal assistants be in high demand. Texas A & M also provides students with plenty of hands-on experience in real-life situations that are simulated. In addition, the students of the program are also given a comprehensive understanding when it comes to all law areas. While the course at A & M has much to offer, it does teach students the fundamentals of constitutional law, family law, real estate law, probate, torts, law office management, legal research, civil procedure and business organizations. Many program graduates choose to seek out internships in political campaigns, legislative offices, attorney’s offices and many others. The program is also supervised by the political science department. Graduates also can consistently find jobs within the legal field. The paralegal program at Tulane University has had the approval of the ABA since 1981 which has made it the oldest approved program in the Gulf South. Students are taught research and advanced court preparation in order to prepare them for a position in the legal field. Because of the ability to complete the program online and the flexibility of the program, it makes quite the selling point. Students may either complete a certification in paralegal or continue in their studies of law. Another reason this is a top school for the paralegal program is that it offers free job placement help for both graduates and current students. From the very beginning, students that participate in the paralegal program at the University of Louisville are tested in order for them to excel. Those with the highest grades are the only ones that are eligible to earn certification. While it may seem that these requirements are strict, over time students will be able to see that their hard work and dedication paid off when they receive a job offer once they graduate. Along with their career center that is always being contacted by prospective employers, it is also the home of the Louisville Association of Paralegals which provides a job bank program for the participants. The director of the program also recommends the students to these prospective employers. If you enjoy a fast paced learning environment, this is a school for you. Working adults that want to pursue night classes to become a paralegal will be able to achieve their certification through the University of Arkansas. The school can easily accommodate the schedule of the students. They also offer online courses and lecture hours that are convenient. The school work that is completed during the program provides students with the tools they need for developing their research skills, organizational skills, and their management skills. From American national government research to computer applications this program offers its students a comprehensive education which paves the way for a successful career as a paralegal. The paralegal program at the University of Cincinnati School of Criminal Justice prides itself on being able to help the participating students become both competent and ethical paralegals. They assist students with communication and interpersonal skills that will be needed for participating in the legal field today. The instructors teach legal analysis and drafting legal documents as well as other necessary skills a paralegal will need in the field. The paralegal program at the University of Tulsa was started in 1992 with the dedication to produce paralegals that are both coveted and skilled. It is also one of the only four programs for the entire state of Oklahoma that has been approved by the ABA. The program has also proven to be very successful, and the administrators and instructors are known for working close with the legal community locally. They also provide internships at a local organizations. In addition, they also are responsible for hiring the area’s premier legal professionals as their instructors. The schools placement is at 80 percent as far as job placement for their graduates. On average, the graduates have spent 12 months in the program when they have been placed in a job. Click here to see an extensive list of the top paralegal schools and tuitions. Make sure that the school has appropriate accreditation. Most paralegal schools are either certified by the American Bar Association or some other regional certification body. It is also essential to search around and inquire about the details from other students. It is of utmost importance that you are happy with the college you choose. The next factor is to find out whether the program you choose offers course flexibility. Most of the schools provide the options of full-time and part-time courses. Also, verify if the educational system you choose has provisions for internships. It is one of the most important factors since a paralegal can gain maximum experience and knowledge only by working in the field. 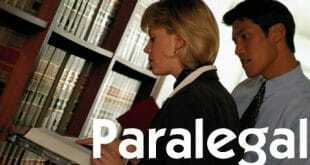 Paralegal programs that provide internships are best for the completion of your paralegal training. There are several paralegal schools in the country. One of the most prominent is the National Paralegal College. This school provides a high quality of Internet-based instruction and education. It is ideal for students who wish to become a paralegal. This school is suitable for students who want to obtain detailed paralegal training. This school offers three types of academic programs. 1. Certificate course in paralegal studies. This program can be completed within a period of seven months. 2. An associate degree course in paralegal studies that can be done in fifteen months. 3. The option of a bachelor’s degree course in legal studies that can be finished in a period of three years. All the programs offered by the school boast of regular classes and are highly interactive in nature. Paralegal schools equip you with a degree that lets you work in the law field assisting attorneys and making an enormous difference in the lives of people everywhere. The best of luck in your career choice as a legal assistant! Previous How Much Do Paralegals Make in Average?